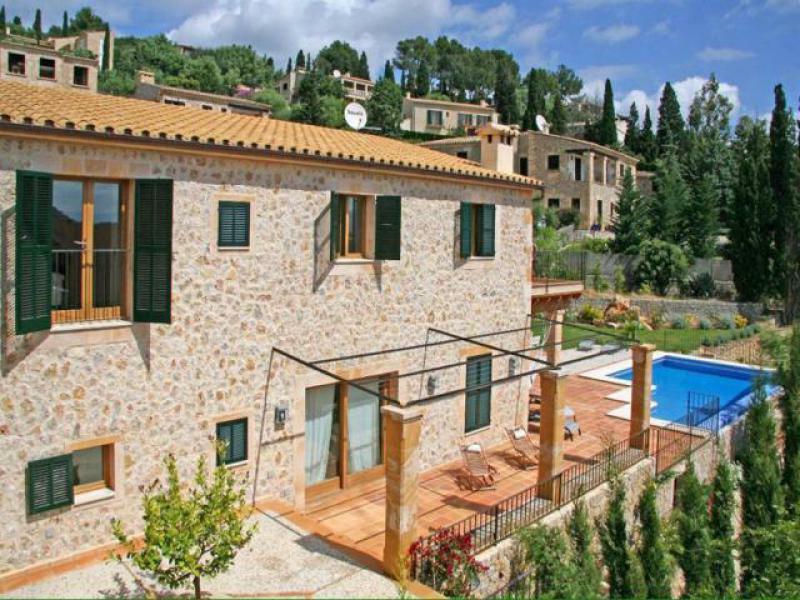 4 Bedroom, 5 Bathroom Town House with Sea View and a Private Swimming Pool , Air Conditioning, WiFi, Satellite TV, near Golf, Sleeps a maximum of 9 people. 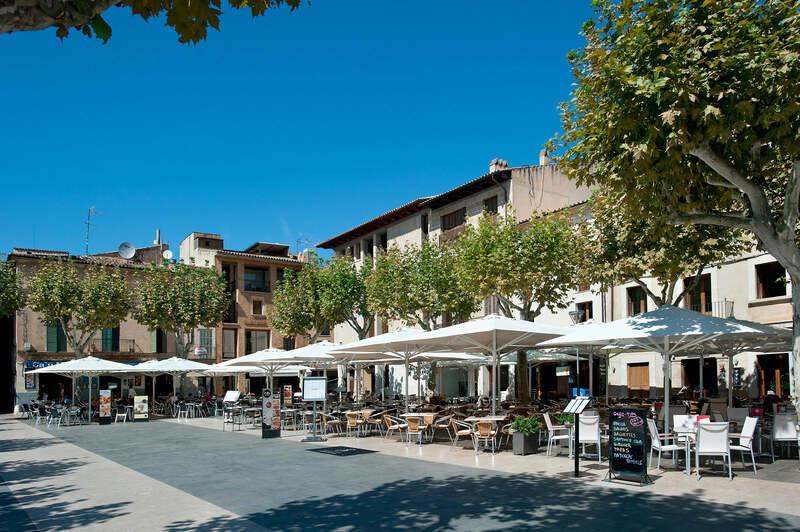 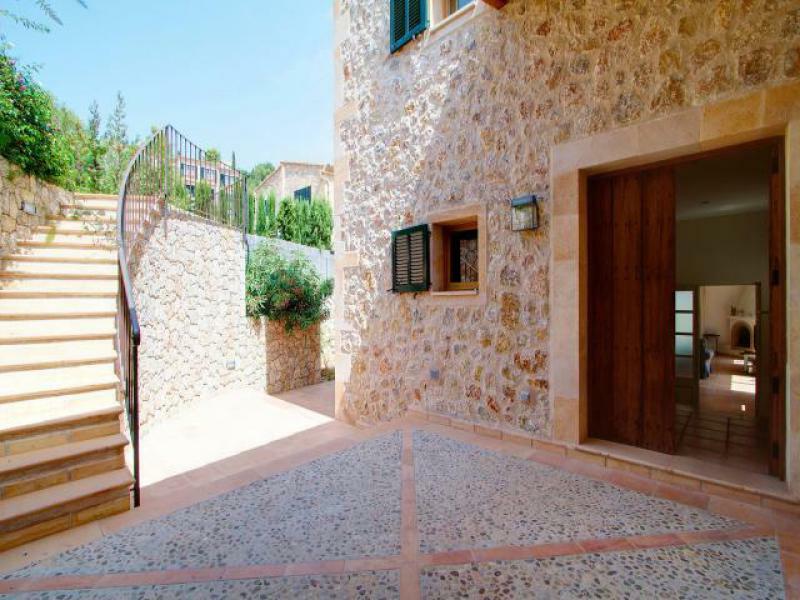 Exceptional townhouse situated in the centre of Pollensa old town in a wonderful and unique location! 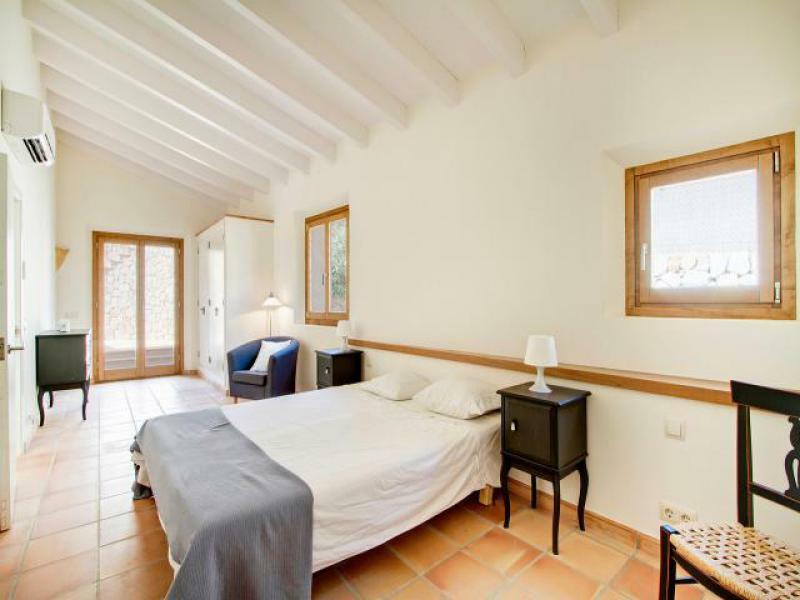 The property is of recent construction and presents in a stylish and rustic manner with many super features. 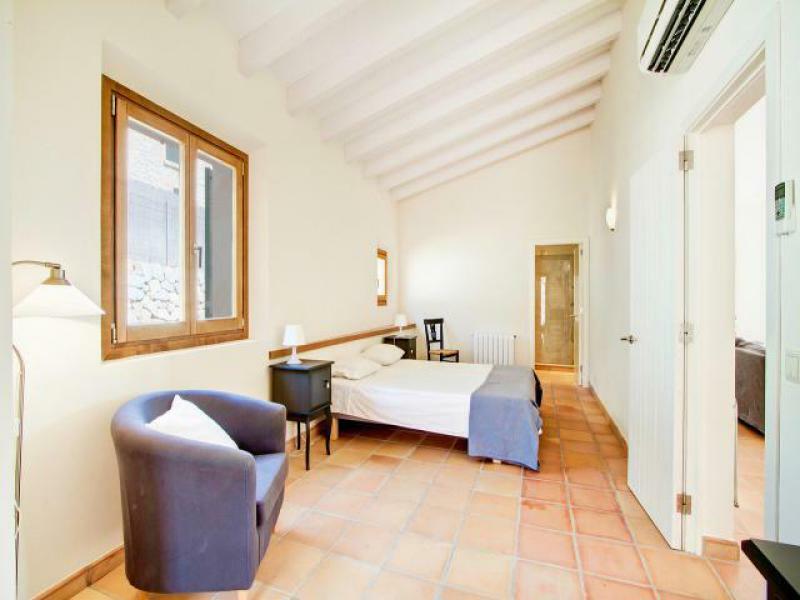 The property sits in an elevated position on the Calvario hill at a stones throw away from the 365 steps and the main church Square. 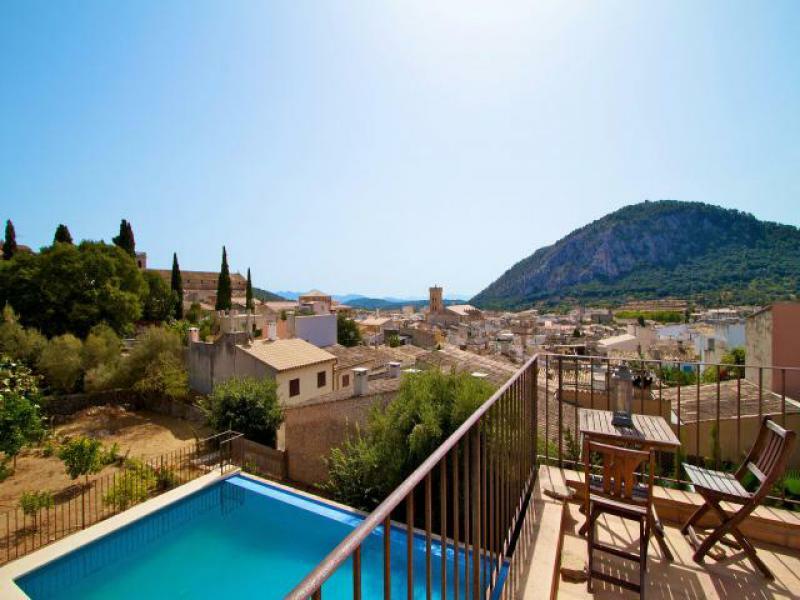 The views from the property are breathtaking - across the roof tops of the old Town, to the Puig de Maria mountain and towards the Bay of Pollensa and the Sea. 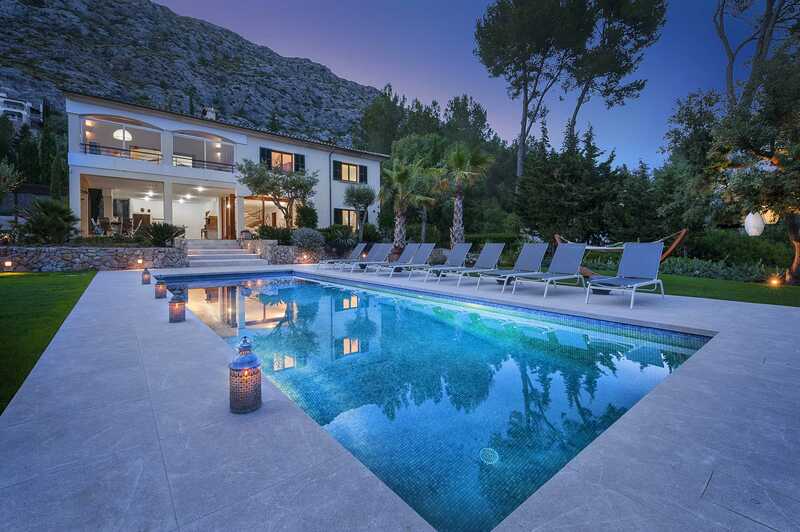 The location is second to none. 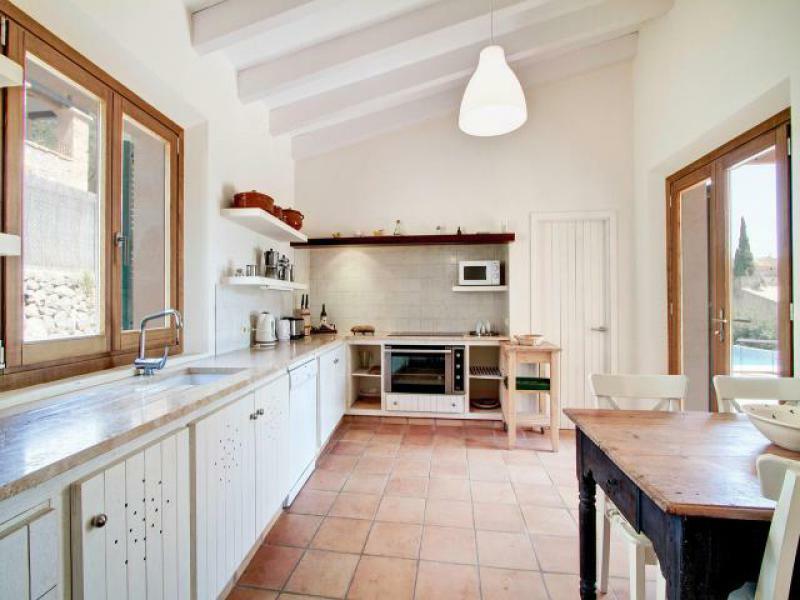 The main house, distributed over two floors, consists of a spacious living and dining room with large French doors offering lots of natural light and access to the exterior areas and a very well equipped rustic style eat in kitchen (including an industrial size hob and over, dishwasher, dishwasher, toaster, kettle). 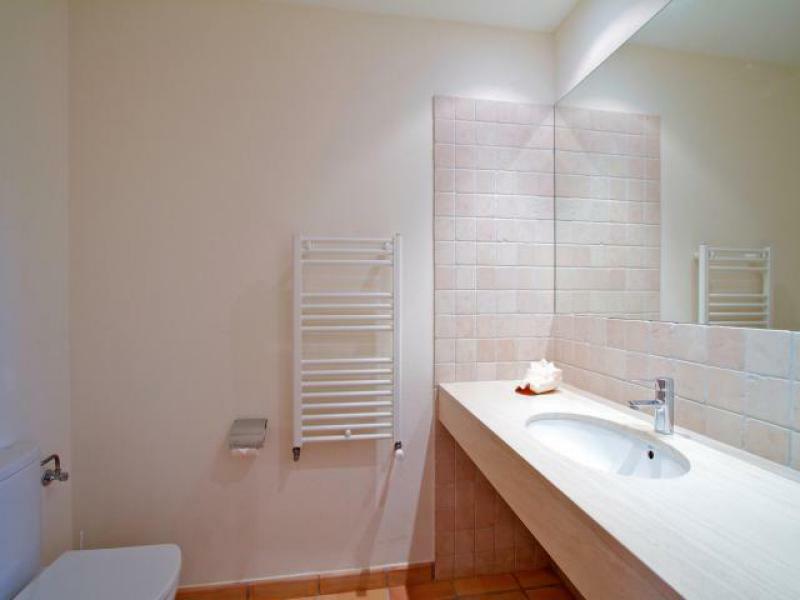 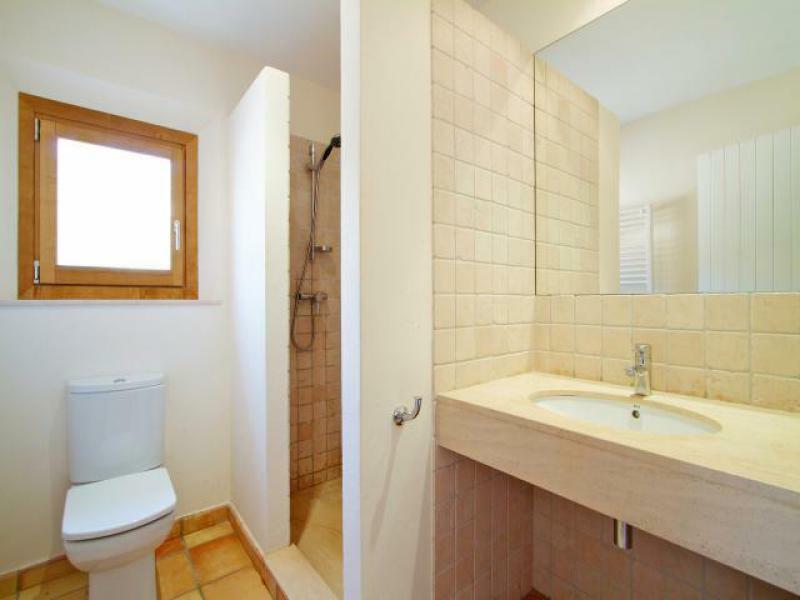 This level also offers a double bedroom and bathroom. 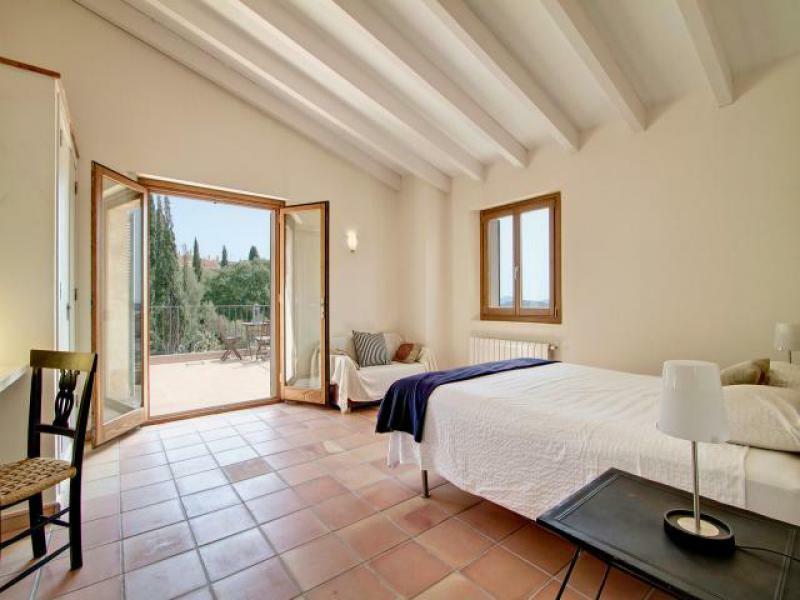 Within the main house, the first floor offers a wonderful master bedroom complete with en suite facilities and a terrace from which to enjoy the views and a further twin bedroom. 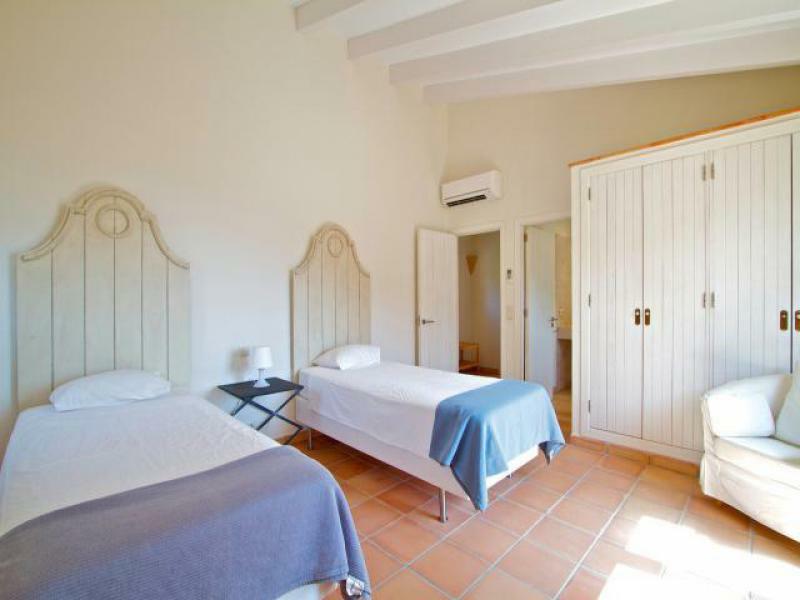 Within the grounds, there is also a guest annex with 3 single beds (or can be set up as a double bedroom with a sofa), complete with bathroom. 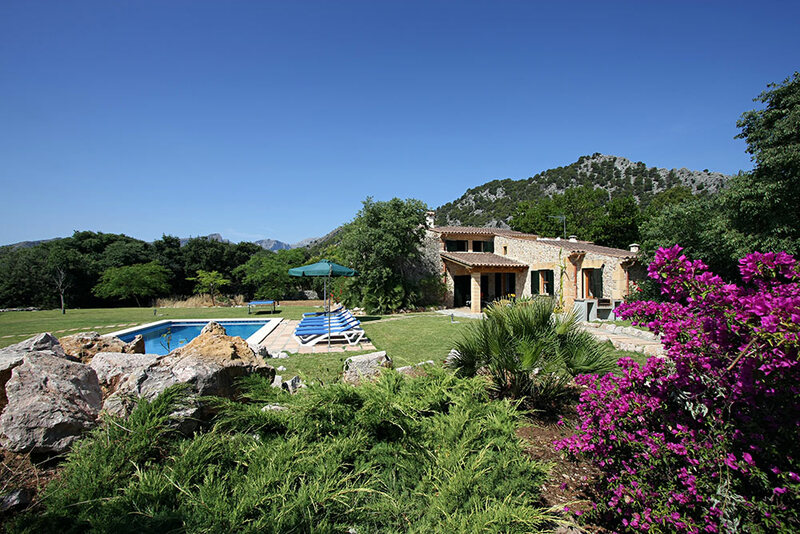 The beautifully maintained gardens offer a lovely array of fruit trees, rose bushes, trees and grass area and a (salt water) swimming pool. 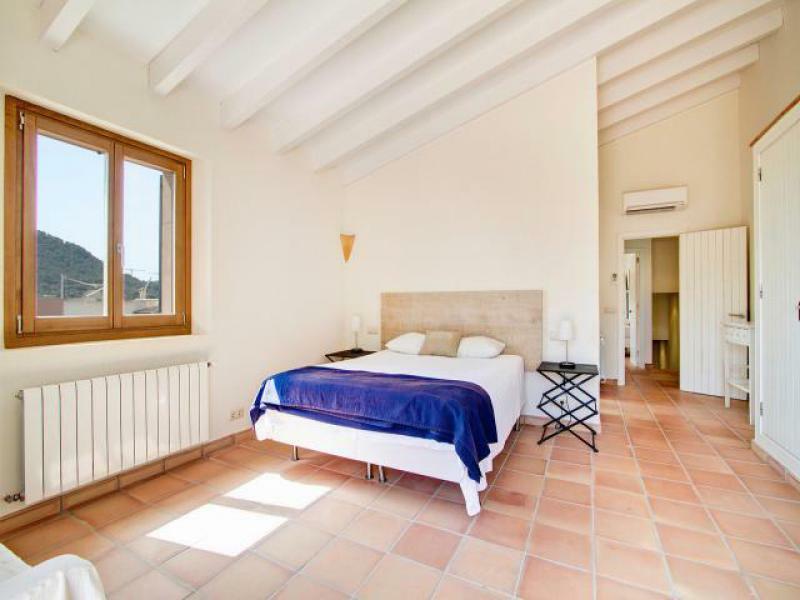 The property is extremely well equipped for rental purposes with air conditioning, gas oil central heating, WiFi, television with satellite, exterior furniture and BBQ. 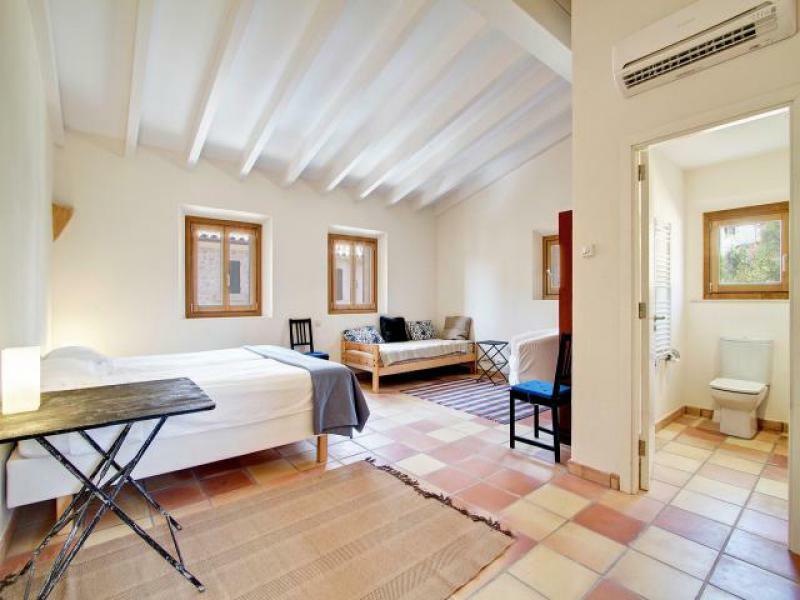 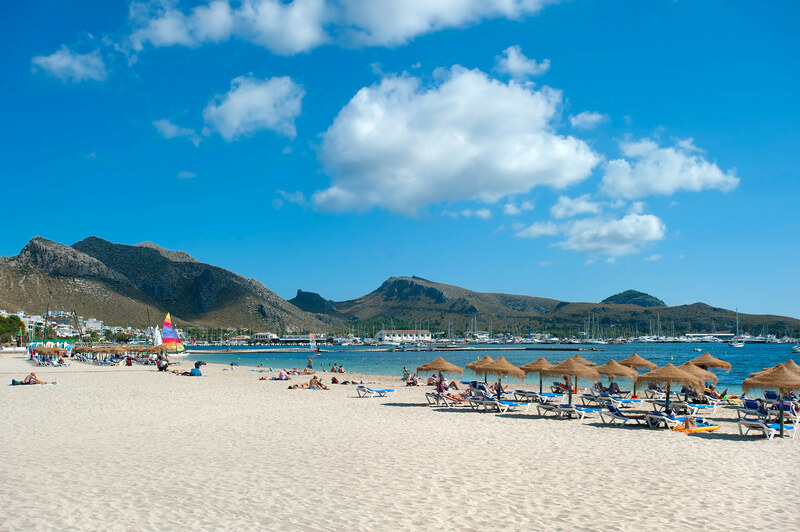 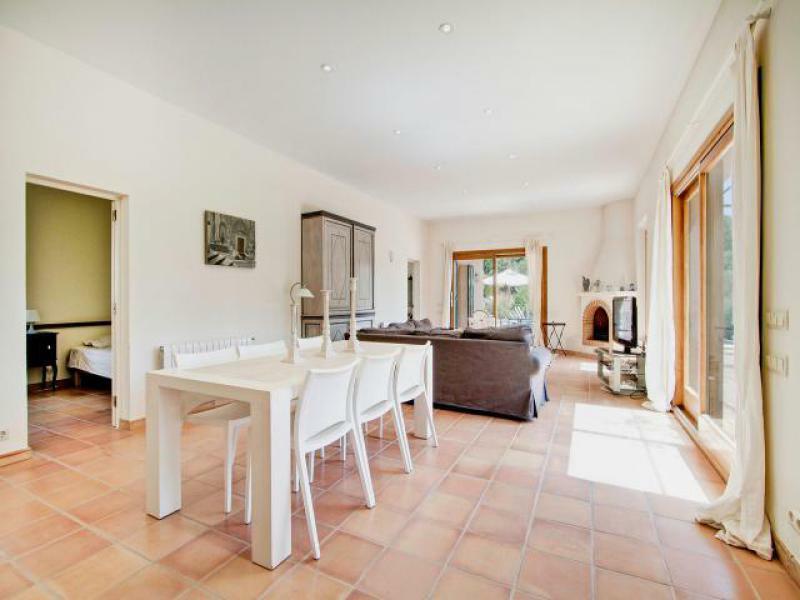 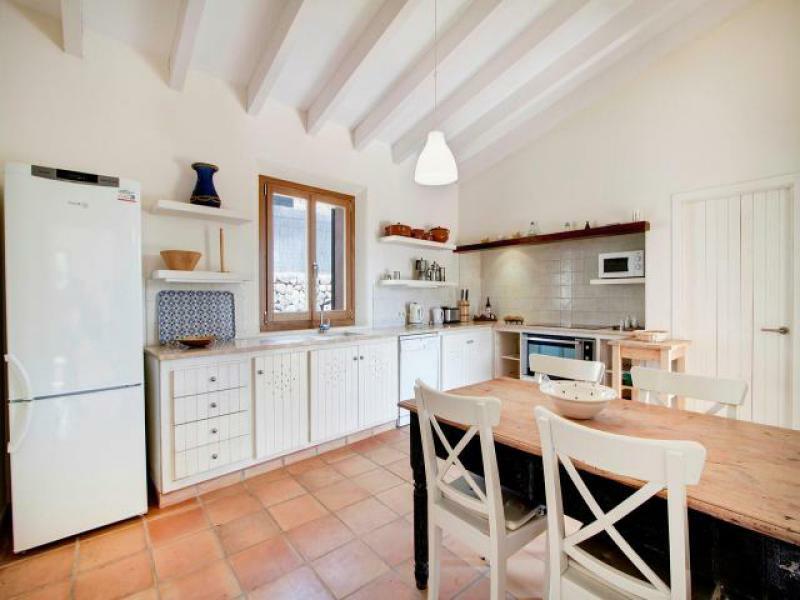 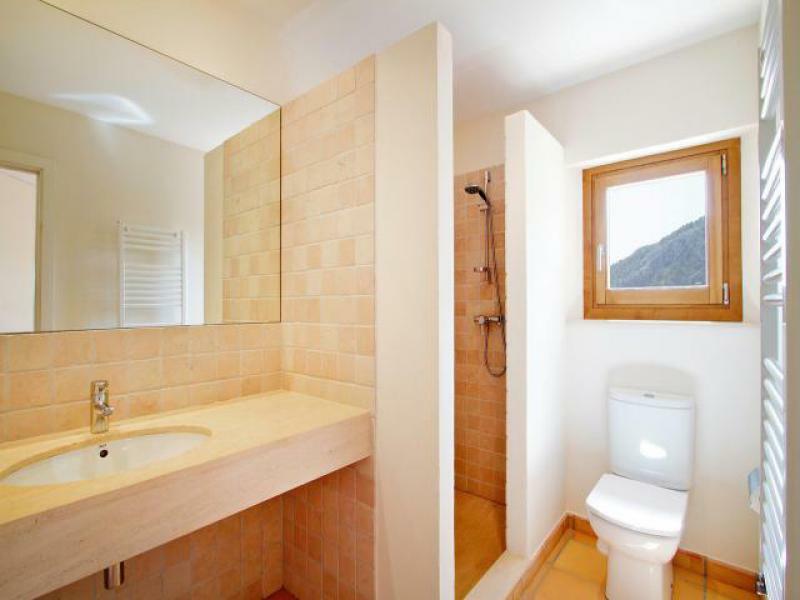 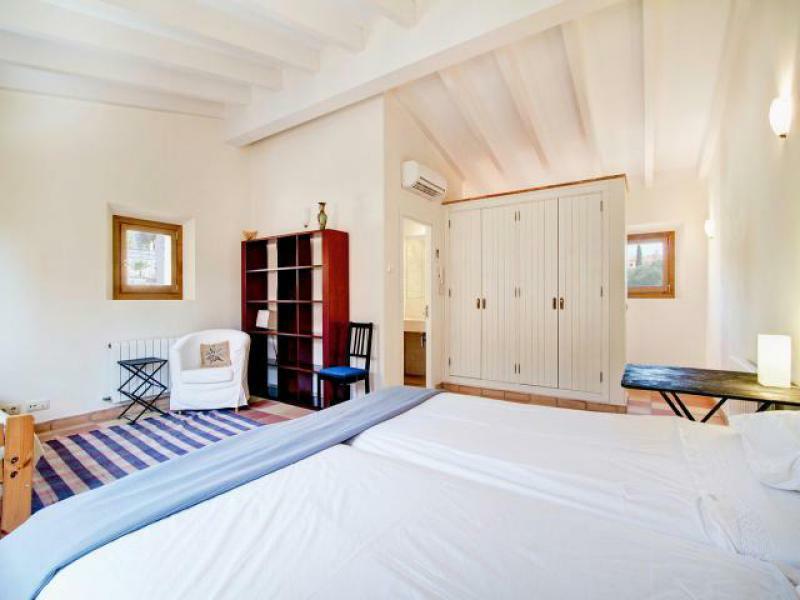 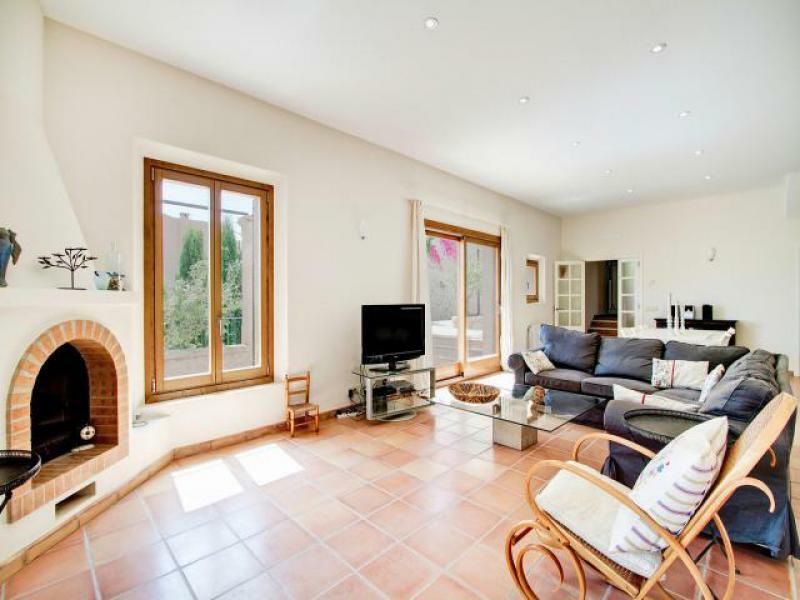 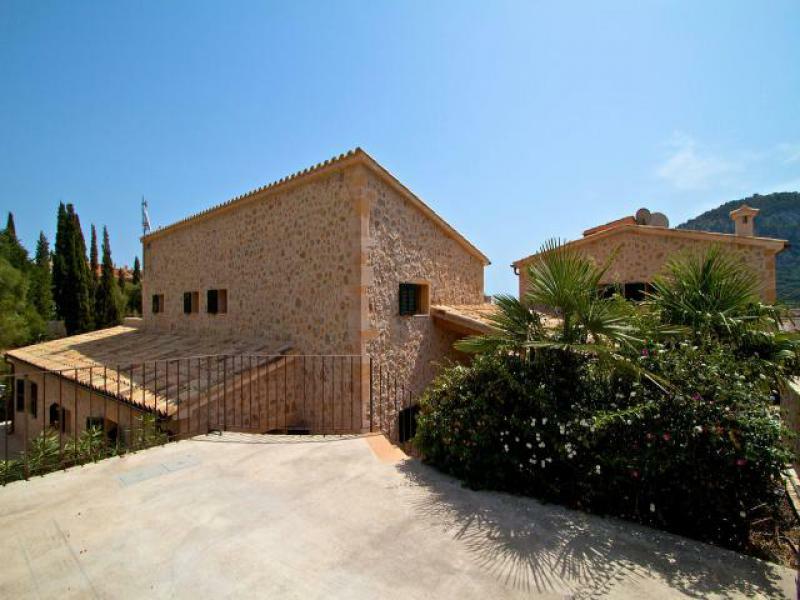 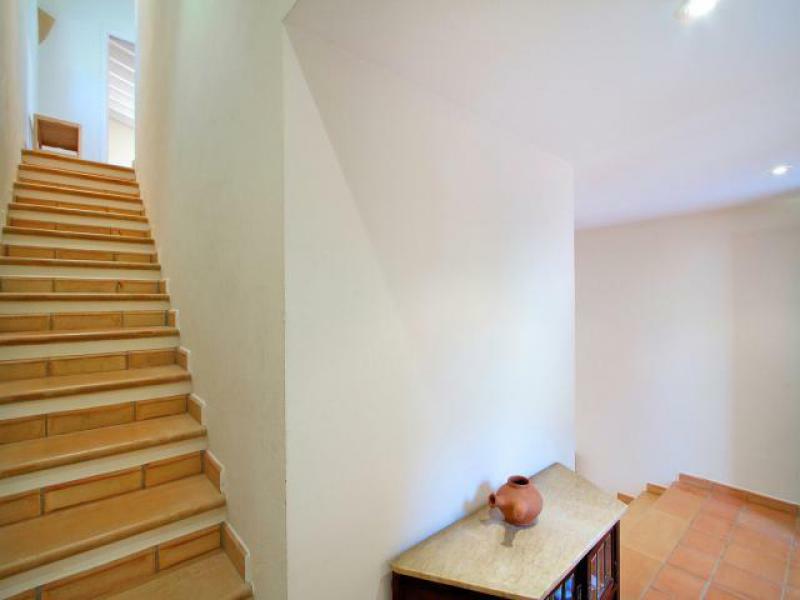 A fantastic rental property in a wonderful location in Pollensa!